TICK-TOCK, tick-tock! The clock is well and truly ticking down to The Masters, the season’s first men's major. 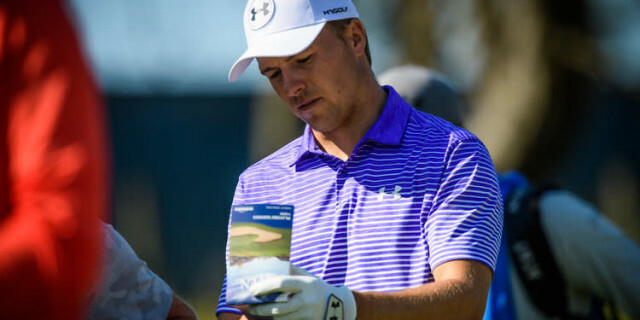 And desperately looking for some form before he gets to Augusta, Jordan Spieth has committed himself to playing in this week’s Valero Texas Open. The three-time major champion is enduring a miserable run of form but will draw some hope from the fact that his game was also in pretty poor shape 12 months ago but he ended up coming within a whisker of winning The Masters for a second time. Incredibly, it is more than six months since Spieth last finished inside the top 30 in any tournament and he failed to make the knockout stages of the WGC Match Play in Austin, Texas last week. There have been flashes of his best in 2019 but he has been unable to string together four good rounds. Most worrying of all, he continues to struggle on the greens. As anybody who has followed his incredible career will know, his success has been built on a brilliant touch with the putter. When winning tournaments he holes putts for fun - from all over the place. He insists that he is not concerned, but he cannot possibly be happy with his play. He continues to miss too many fairways and has developed an unfortunate habit of missing greens with a wedge in his hands. His world ranking has tumbled at an alarming rate, and continues to do so. But it is inconceivable that he will not contend at Augusta, where he has only once finished outside the top three. The Texas Open is the third-oldest tournament on the PGA Tour. It was first played way back in 1922 and has a rich history. It is being played at the AT&T Oaks Course at San Antonio, designed by Greg Norman with Sergio Garcia and reflects the tour's departure from the modern tournament style course (expansive grass areas and spectator mounding) to a more natural look and feel, without sacrificing the fan experience. Past champions include Walter Hagen, Byron Nelson, Sam Snead, Arnold Palmer, Ben Crenshaw, Lee Trevino, Nick Price, Justin Leonard, Zach Johnson and Adam Scott. It was won in 2011 by Brendan Steele, in 2012 by Ben Curtis, in 2013 by Martin Laird, in 2014 by Steven Bowditch, in 2015 by Jimmy Walker, in 2016 by Charley Hoffman, in 2017 by Kevin Chappell and last year by Andrew Landry. You should not be surprised to learn that many of the world’s best golfers have decided to give the tournament a miss as they prepare for Augusta. However, there are those who believe that the best way to prepare for a major is to play competitively the week before. Among those who committed early are Ernie Els, Davis Love III, Martin Kaymer, Lucas Glover, Padraig Harrington, Jason Dufner, Jim Furyk, who finished second at The Players Championship and continued his good form at the Valspar Championship, Spieth, recent winner Graeme McDowell and Jimmy Walker. In addition, three-time PGA Tour winner Jhonattan Vegas is in the field. Vegas finished tied for third at The Players. Between them, Els, Love, Kaymer, Glover, Harrington, Furyk, Spieth, McDowell and Walker have won a total of 18 majors. 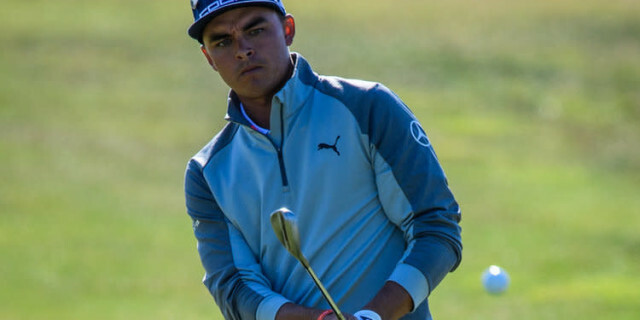 Also playing in Texas are Rickie Fowler, Tony Finau, Matt Kuchar, Haotong Li and Billy Horschel. 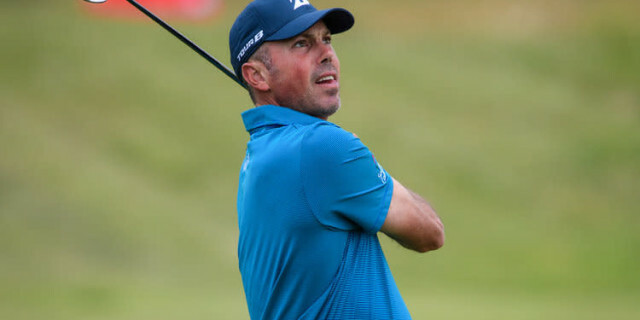 Kuchar has made an extraordinary start to the season, with two wins and a host of other top-20 finishes, and he continued his brilliant play at the WGC Match Play. He was bitterly disappointed at failing to make the 30-man field for the Tour Championship last year, also missing out on selection for the American Ryder Cup team, and made it his mission to get his game back on track in 2019. He has achieved that in spades. Fowler, meanwhile, will be looking to tune up for Augusta in style. He played brilliantly at The Masters in 2018 and looked like he may finally win that elusive first major, only to be pipped by Patrick Reed. Fowler is considered by many as being the best golfer not to have won a major and he is desperate to rid himself of that tag this season. Twelve months ago the tournament was won by Landry, who shot a final round of 68 to win by two strokes over Sean O’Hair and Trey Mullinax. He arrived carrying plenty of scar tissue. He looked like winning the US Open at Oakmont until a meltdown in the final round and then he lost to Jon Rahm in a four-hour playoff at the CareerBuilder Challenge. Jordan Spieth. This awful run can’t go on, can it?